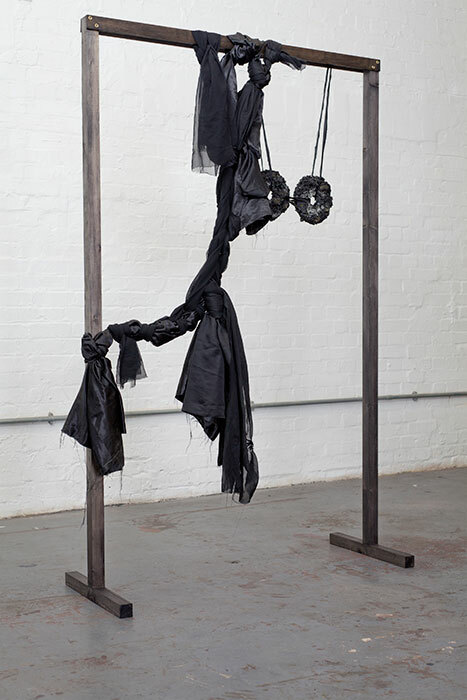 SPACE is delighted to announce a solo exhibition of new sculpture by current IASPIS sponsored resident artist Ninna Berger at The White Building. 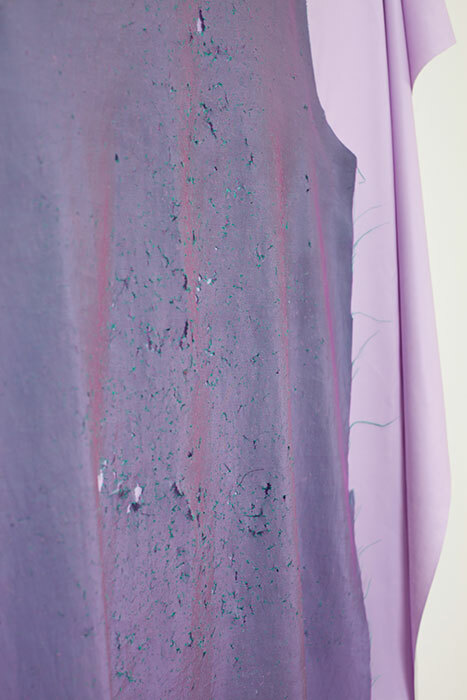 This is the artist’s first solo show in the UK. 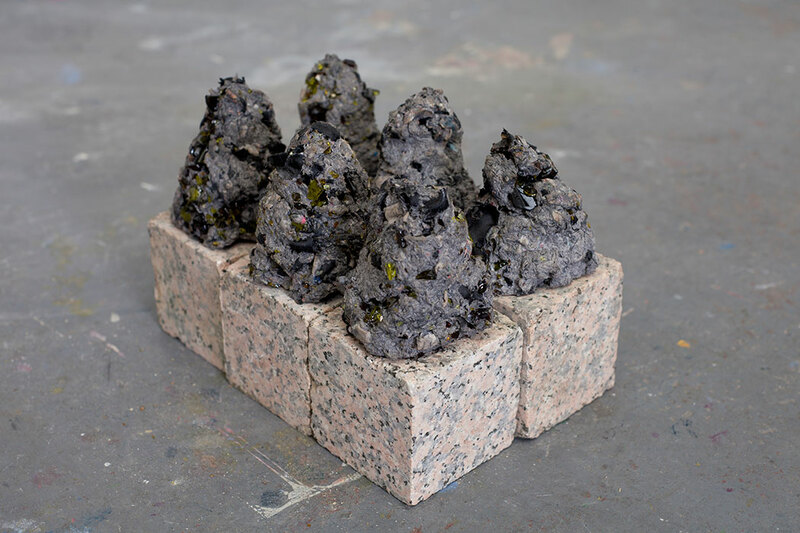 Ninna Berger’s sculptures are generated from found street life materials. 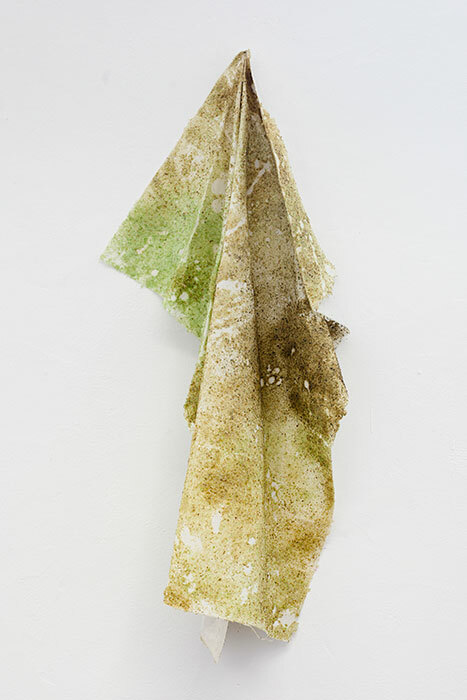 Her assemblages of urban debris have shape-shifting qualities and are fragile nature – roughly hewn and woven textiles of broken glass bottles layered with roughed-up rubbery skins of discarded garment material and topped with starchy, hyper-pigmented fragments of London dailies. 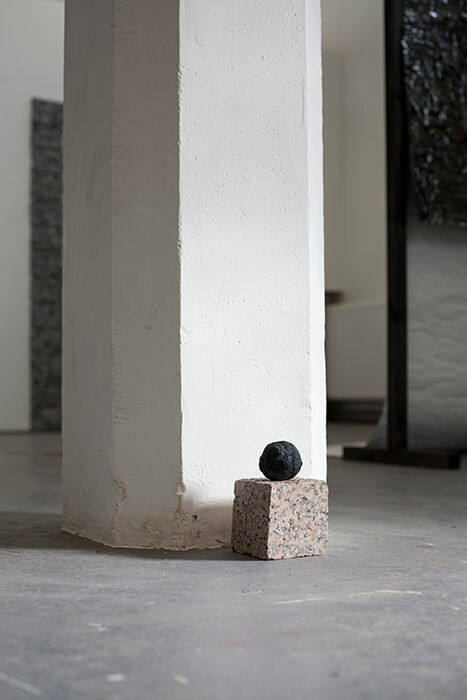 Scraped and trawled from the streets of her newly adopted home in Hackney, Berger’s stacking and layering of the materiality of street life pepper the gallery space. 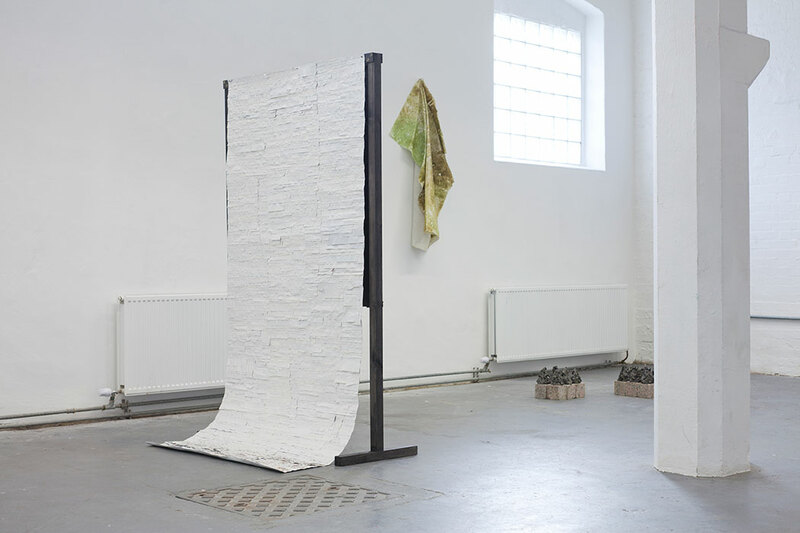 During her residency at The White Building, Berger consciously set herself up to explore the dynamics of chance and failure within her evolving sculptural practice. 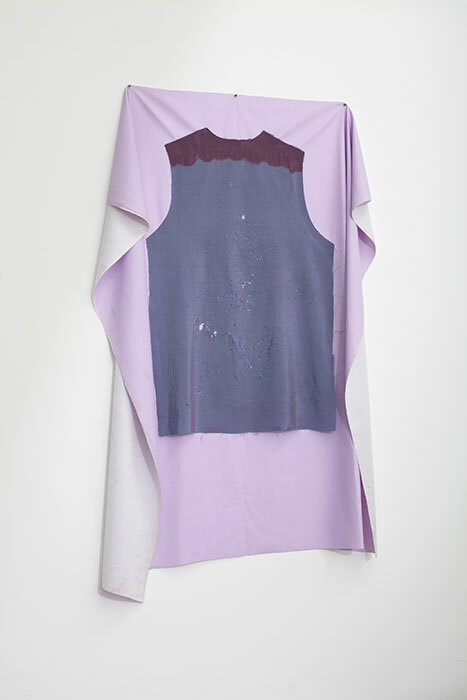 Originally from a fashion design background, the artist’s process has shifted and morphed away from her previous focus on the conceptualizing of the body as a structure to “dress” and towards a new adhesion to the exploration of objecthood and new materiality. 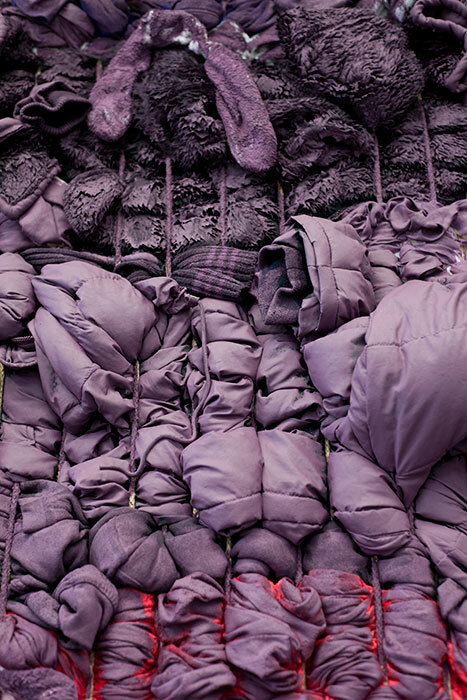 Berger’s tactic of forensic layering – the constantly working and re-working of her own brand of material alchemy – is durational in execution, and yet she hides the tracks of her labour, adding yet another layer of conscious artifice. 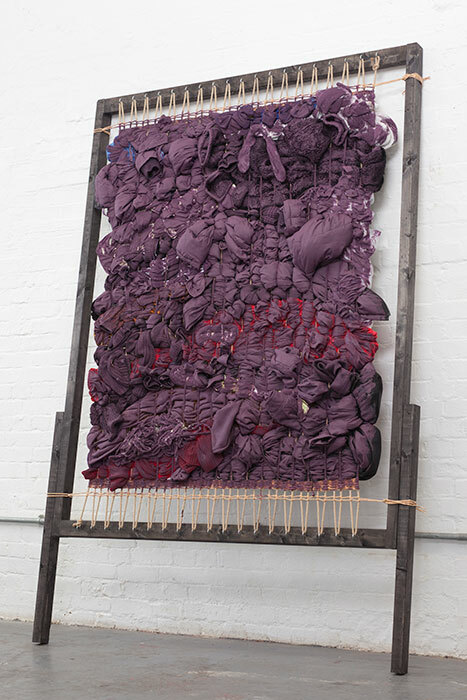 However, her reliance on the alchemic, transformative effect of time on her work, on the molecular changes of the core materials that she consciously choreographs during her process, is clearly acknowledged as Berger says “I’m trying to come as close as I can to a feeling of honesty as I build and destroy”. 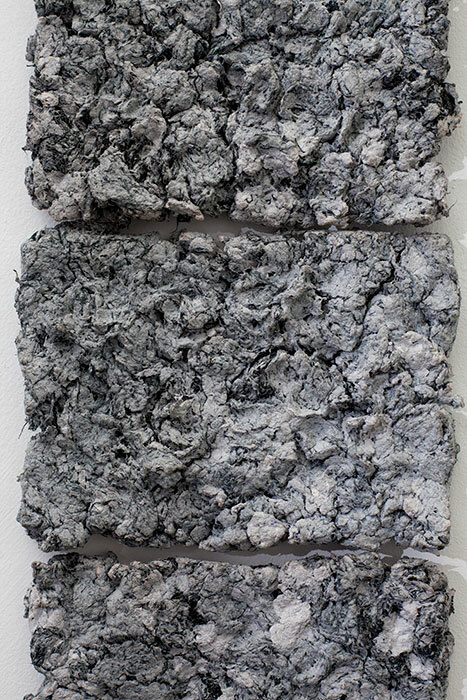 Berger’s tactile surfaces dispute the authority of the eye. 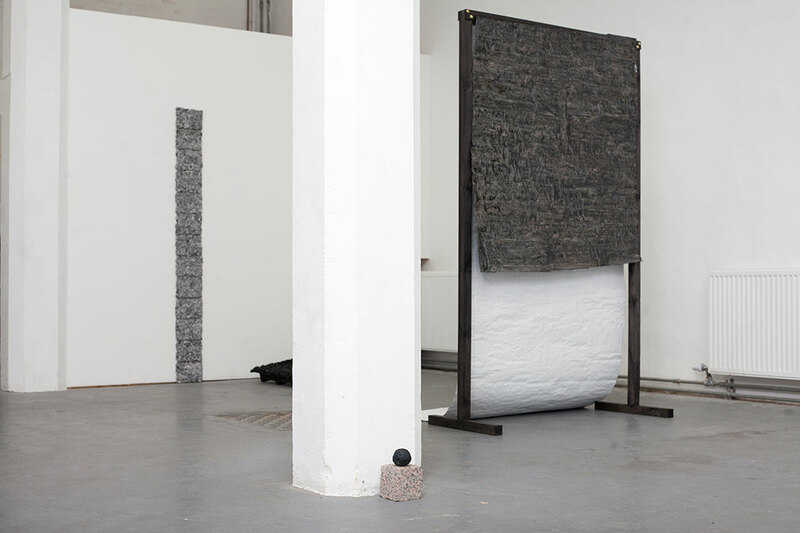 The very system, within which Berger operates, reproduces the hierarchy of sight over touch, and yet, at the same time, she subverts the objecthood of her work through its ephemerality. 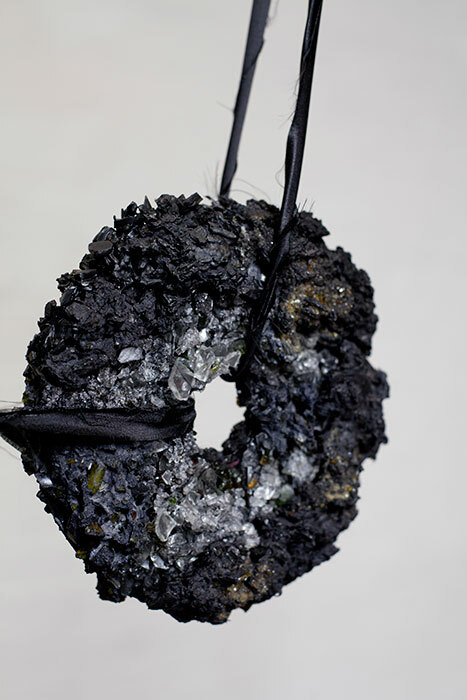 Love Every Mouthful is a highly indulgent, visceral, experience, offering up a rich repertoire of sensorial drips, rips, chewed up, spat out paper pulp, violently smashed shards of glass embedded in the soft, rubbery skin of sartorial cast-offs – revealing the artist’s haptic hedonism through the processes of pouring, mixing, shattering, layering and smearing. The surfaces produced invoke the corporal. 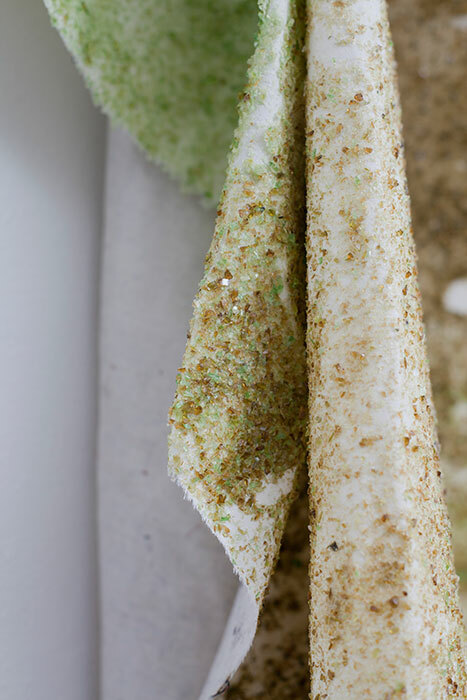 She entices the viewer to get up close and personal with her urbanely layered sculptures and wall pieces and examine their glistening membranes, which are never quite what they seem.